“I’m not sure these sandals were a good idea,” John said, as they sank into the chilling snow. Seconds later his toes turned blue and fell off. This goes to show how important your winter footwear is folks. Okay, that never happened. While (hopefully) none of us would be silly enough to wear sandals on a winter’s day, it does pay to know what shoes are best suited to the rain, snow and swarming leaves. And we're not just talking about adequate grip on the sole - we're talking about upper material, insulation and closure types. 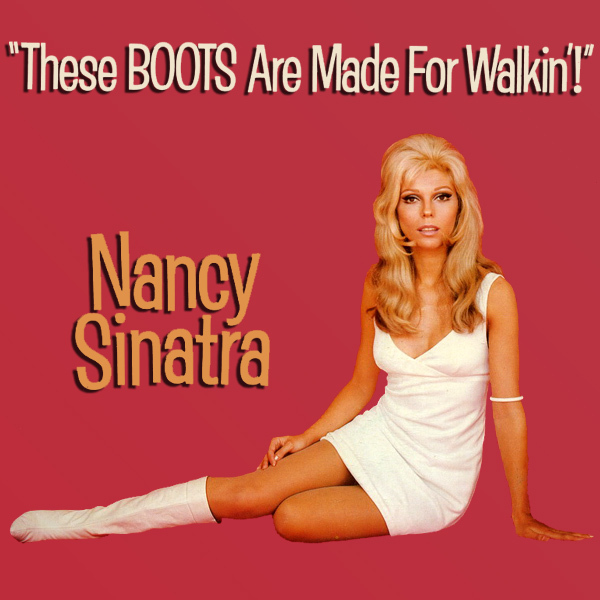 Nancy Sinatra’s words, not ours. But she wore patent white, knee-high stiletto boots as she said it: not suitable for a 7am trudge to work in December Nancy. Not at all. The first thing to consider when purchasing a pair of shoes for the winter months is just how much you plan on wearing them outside? Do you have a long walk to/from work? Or is it a short skip from car park to office door? If it’s the former, then you’ll want a shoe that is versatile in both style and utility. Take the Viberg brogue boots – an all-time classic design that benefits from a high ankle, more rugged premium-grade leather, and a utilitarian sole. Not only would this boot work perfectly with smart jeans, but it would see you to the top of Mount Everest no trouble. Don’t take our word for that. Chelsea boots are also a great choice for winter, something like our Hurstwood Tan, as they are available in a wealth of styles and colours, and their flexible opening allows plenty of room for some snug thermal socks. Some gents actually wear full-on hiking boots for their trip to work – only slipping into flashy formals when inside and safe from the cold. This is a great idea if you have a long walk in, but it does mean you need to account for a place to store your muddy clodhoppers. So we’ve talked about the obvious footwear for winter - but what if you’re not a fan of boots? What if you want something less cumbersome and more stylish? Less Land Rover and more Ferrari. Imagine if you could get a brogue – one of the most elegant species in the shoe kingdom – and fit it with a sole worthy of the most adverse weather conditions. A sole as rugged as Sébastien Chabal’s face and as fearless as the tracks of a Sherman tank. Well you can. Winter brogues have become increasingly popular amongst rural-dwellers who face rough terrain into the office – which means a hybrid of utility and formality is just what the doctor ordered. Check out our Chatburn Derby Brogues to see what we mean. Hopefully we’ve helped to clear a few things up when it comes to choosing a pair of shoes to get you through the bite of winter. And no doubt we’ve saved you from frostbitten toes, embarrassing falls and substandard style. Remember, winter footwear can be stylish and have substance. UGG Larus Boots - yes gents, UGG make shoes for you too. Avoiding materials like suede and canvas will ensure your shoes remain fresh and your feet remain dry, and don’t forget to give your shoes some leather treatment every now and again.